Many North Sea offshore installations have been fitted with desalination water-making facilities in the form of reverse osmosis or evaporative condensers. This onboard capability allows the water supply to be independent of weather conditions, unlike traditional bunkering. The production of desalinated water from seawater generates 'soft water' (permeate) that is very low in minerals and tends to be low in pH. A well-managed process generates very clean water because particulates and bacteria are removed. Historically, desalination units were mainly used as technical water supplies. Nowadays, such water is also used for drinking, cooking, washing and cleaning. Thus, the permeate is re-mineralised by imitating the process of rainwater travelling through bedrock. The addition of minerals from a re-hardening agent can be used to offset softness. However, if too much is added, it may cause excessive mineral uptake (hardwater), which can lead to scale formation and blockages. 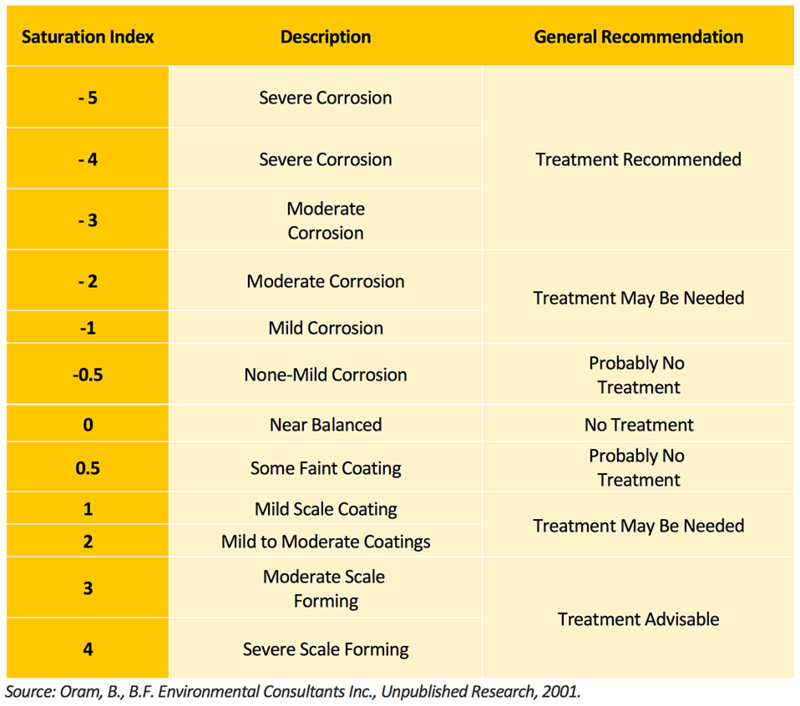 Re-hardening Mineral – Choice of different types and grain sizes to influence the surface area in contact with water. Carbon Dioxide Pre-injection – Injection of carbon dioxide gas into the permeate prior to the re-hardening filter. This temporarily acidifies the water further and permits the re-hardening mineral to dissolve more effectively. Sufficient Mineral Contact Time – Adjustable water flow rate through the re-hardening chamber where the mineral should always be filled to the maximum level. No Re-hardener Compaction – The re-hardening mineral can become compacted, which can reduce its efficacy. Some filter chambers have a backflush facility to reduce compaction. Where this is not available, compacted mineral should be fully replaced. Onsite Monitoring for Total Hardness – Monitoring at the cold-water outlets, as hot-water outlets have reduced hardness. Ideally Total Hardness should be above 60 mg/L as quoted by World Health Organisation, Guide to Ship Sanitation, 3rd Edition, 2011. The Langelier Saturation Index is a basic calculation for determining the scaling tendency and potential corrosivity of water. It considers parameters such as pH, conductivity, calcium, bicarbonate and temperature. Other water additives, such as phosphates, can minimise corrosivity if used with care. However, Drinking Water Inspectorate-approved supplies should be used and monitored. While the water chemistry is one factor, it is important to remember that other factors combine to affect the conditions inside water supply pipework, not to mention the material of construction. Our audits of installed desalination water-making facilities provide you with expert advice on system maintenance and monitoring improvements to ensure reliable water quality offshore. In addition, a regular monitoring program can allow the tracking of changes in water quality over time and can provide timely alerts to facilitate decision-making. According to regulators, wholesome water needs to meet a set of standards before it can be declared safe for drinking, food preparation or washing. Any failure can cause illness, expensive down-time and legal consequences. We also collaborate closely with Intertek's corrosion specialists whose site-specific assessments can evaluate the probable cause of any corrosion issues in your potable water system and optimise remedial action. Please contact us if you would like to know more. 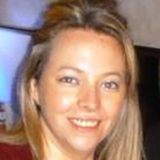 Today's expert blogger is Julie Hart, the Technical Manager of the Microbiology Health & Hygiene department in Aberdeen, Scotland. Julie joined Intertek in 2006 and heads up a team of experts in potable water management. Her client-focused approach always seeks to find practical solutions that protect the health and safety of consumers of potable water as well as comply with current legislation.